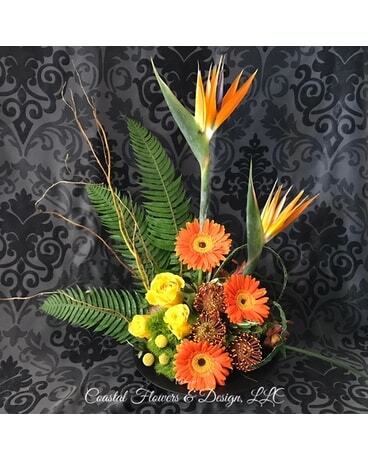 A gorgeous tropical mix consisting of regal birds of paradise, pincushion protea, yellow roses, gerbera daisies, green ball dianthis with a mix of tropical foliages and curly willow! Sure to make a statement on anyones table! This is a one sided arrangement. Color scheme may vary.